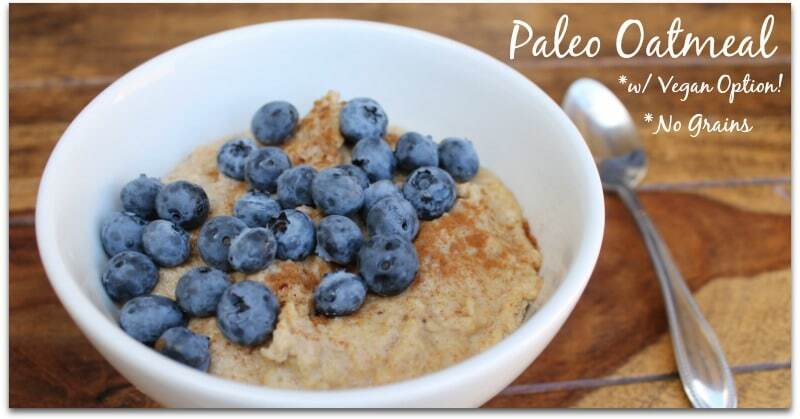 This paleo oatmeal is packed with protein so it will keep you satiated for the whole morning. Since there are no grains and not too much sugar, you wont get a blood sugar spike or sugar crash later in the day like I usually do when eating grains and sugar in the morning. This easy paleo oatmeal is just what I needed today. When I woke up this morning, I was really craving something a little sweet, but also warm and comforting for breakfast. I usually have eggs or a smoothie, but was getting tired of those. I just bought some fresh blueberries and though that they would go perfectly with a grain-free paleo oatmeal. 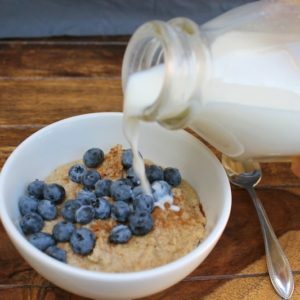 This paleo oatmeal is packed with protein so it will keep you satiated for the whole morning. 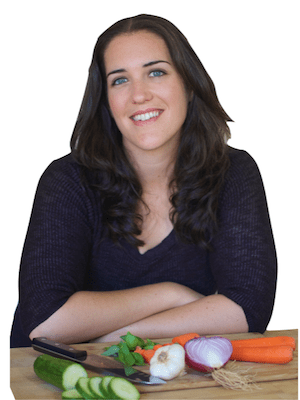 Since there are no grains and very little sugar, you wont get a blood sugar spike or sugar crash later in the day like I usually do when eating grains and sugar in the morning. Want a low-carb version of this recipe? 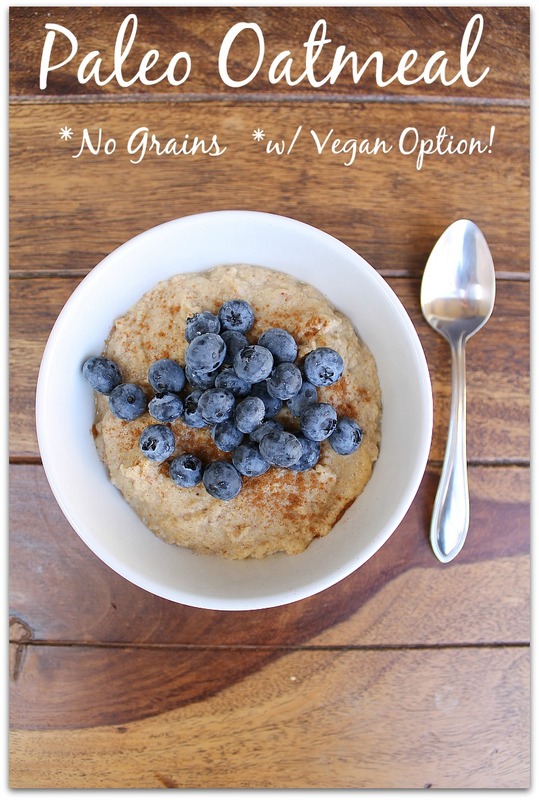 Try my low-carb no oats oatmeal here! Put the banana, eggs and milk in a unheated saucepan and mash the banana until it is pureed. This is much easier if you use a hand blender. Once all the liquids are pureed, add in the remaining dry ingredients and mix once more with the hand blender until combined. Turn the heat on to medium and continuously stir until the mixture starts to thicken and bubble slightly. About 2-5 minutes. Turn off heat and put the oatmeal in a bowl. Top with your favorite toppings (I used blueberries and a little cinnamon) and enjoy! Really easy recipe and really good. I tried the vegan option (gotta run to the farmer to buy pasture raised egg). I added cinnamon and ginger to spice things up… perfect for a pre-hot yoga breakfast. I like it when options are available. Made it with coconut flour, since I don’t have almond meal. It tastes like heaven! Love it. 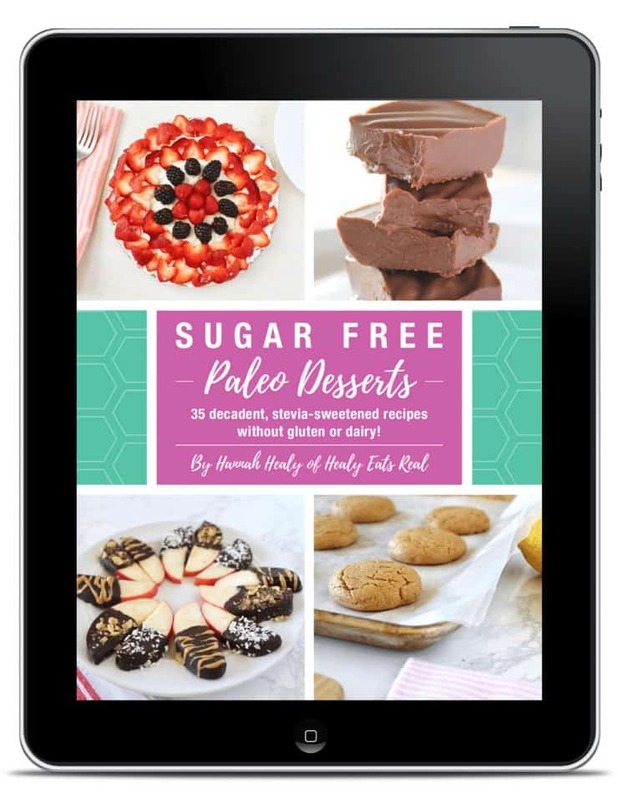 If you need to watch your sugar intake, what is an alternative to swap for the banana? This looks amazing. Stumbled across your site because I’ve been advised not to eat oats but as winter is descending upon us, I need to find a no-oats alternative to porridge! Do you think this would work with avocado instead of banana? The flavor will not be the same and might not be sweet with avocado. I’ve only used banana before. Great way to get in more beneficial gelatin! I’ll have to remember this. Okay, this is crazy how close it comes to the texture and taste of hot oatmeal. This is so good! My new go-to hot breakfast meal! Thanks! Glad you like it! It’s one of my faves too! This is super delicious! It totally hit the spot. I added a dash of vanilla and cinnamon. This looks delicious, can you make ahead and keep for a few days? I can not do almond or coconut. Found out coconut raises my LDL’s to much. What do you thing of tiger nut flour instead of almond meal. Or is there something else I could use?